Trouser Tuesday: Something a bit different from SEH Kelly - Well Dressed Dad - It is a proper menswear blog. Like, with original words and opinions and suchlike. 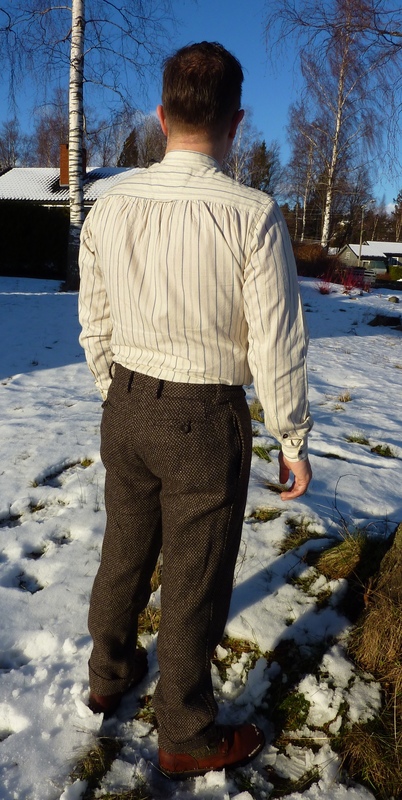 Welcome to part three of the 4-part mini-series presenting different takes on tweed trousers. So far we’ve had a look at a good pair from Toast, a reasonably priced pair from H&M, and today we will investigate an unusual pair from SEH Kelly. Unusual in which way, you may be thinking, we are talking two-legged trousers and how unusual can they be? Todays trousers are the accurately named “Silver-brown two-fleece-twill standard trousers“. 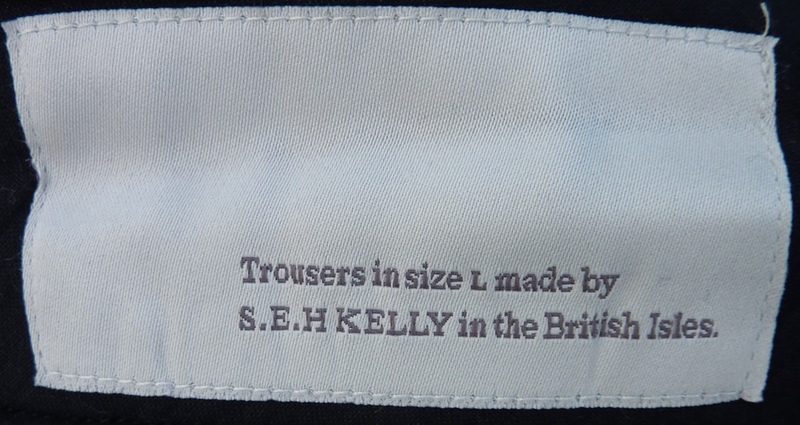 When the term “standard trousers” is used these signifies that these are a variant of the main trouser design that SEH Kelly produces. The fit and construction will be similar from season to season, allowing for subtle evolution, but the fabrics will always be special. And todays fabric is special indeed. When the discussion turns to things tweed, most commonly the type to be spoken of in reverential tones is the Harris tweed. The Harris tweed is woven in crofters sheds on the islands of the Outer Hebrides on looms powered by the weaver. The Outer Hebrides appears to be where good things happen, but what about the Inner Hebrides? Well, this is where this tweed comes from. Woven not by leg power, granted, but at least on ancient looms. The wool itself is where it gets really singular though, as all the wool is from the local sheep, and is in the natural colours supplied by said sheep. No dye is used at all, just the subtle, natural colours, which means black, brown, black-brown, fawn, dark-fawn, light-fawn, and cream. And grey, from the less sprightly black-face Hebrideans. The weave is also quite remarkable. Granted, I have no more than a laymans understanding of the finer points of warp, weft and how the weaves and designs are created, but it’s easy enough to tell the difference between a starter weave and something of a higher level of complexity. The fabric used for todays trousers is without a doubt something beyond average. Compared to the usual unbrushed Harris tweed it feels a little denser. I suspect the fleece of the black-faces is a bit denser and more wiry than the fleece used for the Harris tweed (which contrary to popular perception is actually woven from wool imported from the mainland and the local wool is exported to the mainland, mainly to be used in carpets). 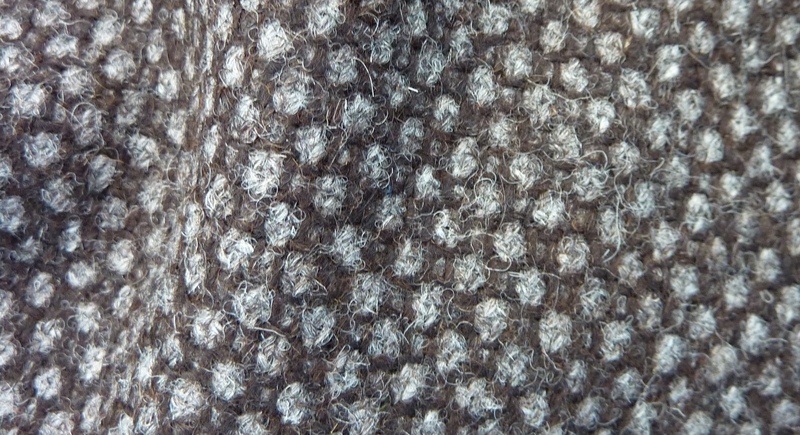 This is tweed that could be a little itchy if the garment is not constructed with some care. Looking at the classic 4-pocket design we find two, almost hidden, side entry front pockets, nice and deep. The rear pockets have welted edges and looped button closures to keep them tidy. Belt loops distributed with unevenly with two closer to the middle of the back, to ensure the rear rise doesn’t drop bellow the belt with unseemly results. As I mentioned, the wool is on the potentially itchy side, at least when not much worn. This means that there needs to be some lining to keep the wool off the main contact points of the legs. 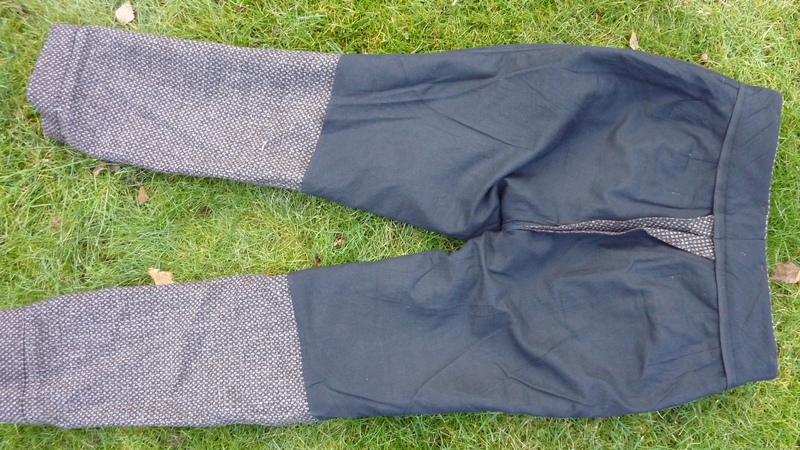 If you spend a large part of the day sitting, then both front and rear of your thighs will be in contact with the itchy wool, so having a full lining to below knee height is a splendid idea. As can be seen on the above photo there is a nice soft cotton lining in these. 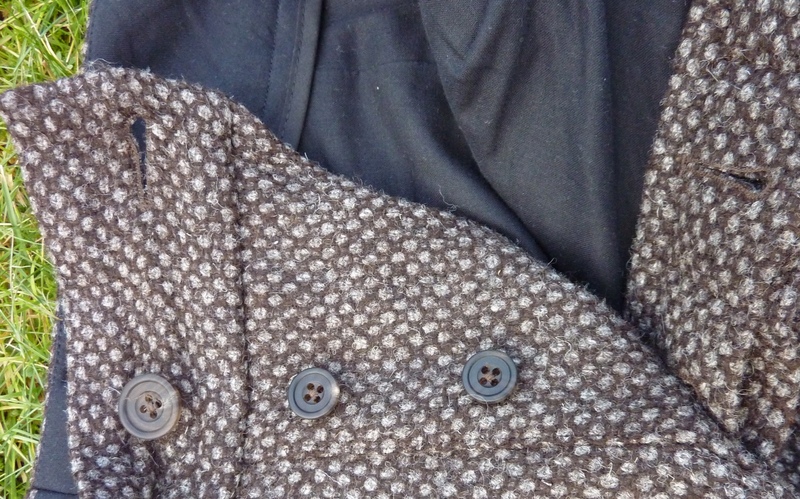 As on all garments by SEH Kelly, the buttons are simply splendid. Always horn, always unique. Something of a brand speciality really. And they compliment the colours of the tweed perfectly. The legs are fully lap-seamed down both sides. This gives both a durable and good-looking finish to the inner seams. Given how this is such a major point in really making trousers properly, it’s a shame it’s not seen more often. Of course, there is a small saving to be made by just running the overlock machine down the seam to make sure it doesn’t fray, but doing it properly doesn’t take all that much longer and the result is very much worth it. It is also worth nothing that all components of the trousers are made in Britain, and all assembly likewise. 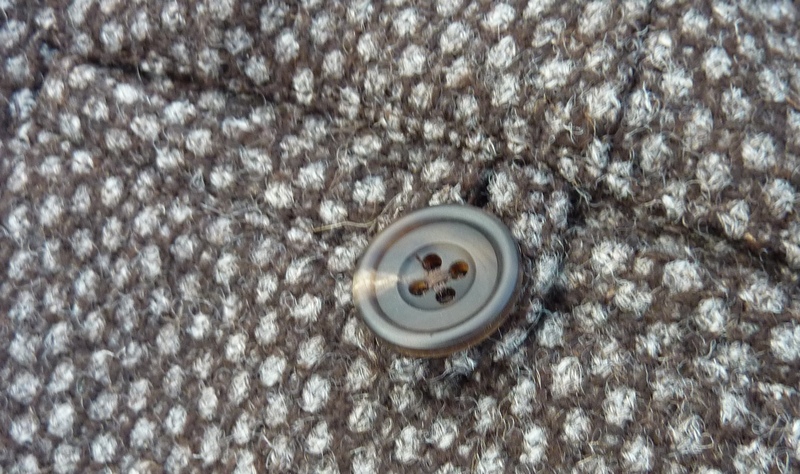 The fly has three buttons on the fly itself, a main button up top, and to ensure the fly lays properly there is a fly guard with it’s own button. This isn’t rocket science, it’s just the best way of doing it. The fit of the trousers is relaxed. Mine are as tight as they can be at the waistline, but have ample room for my posterior and legs. The legs are tapered, but not in the way of a pair of skinny jeans. More of a natural taper to follow the way legs have a natural taper. While the density and thickness of the tweed makes them very suitable for cold weather use, the slightly lose fit is also beneficial in this respect, keeping a little more air on the inside. 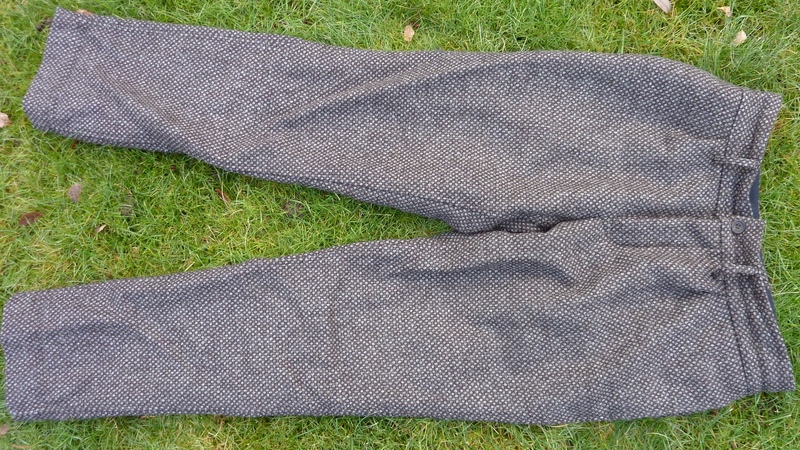 Even when cycling at speed the wind struggles to penetrate this tweed, and while it wouldn’t say it’s actually wind-proof, it is noticeably denser than Harris tweed. Measuring my trousers and comparing to the detailed size chart on the SEH Kelly website, I find that the measurements are accurate and reliable. Well done! 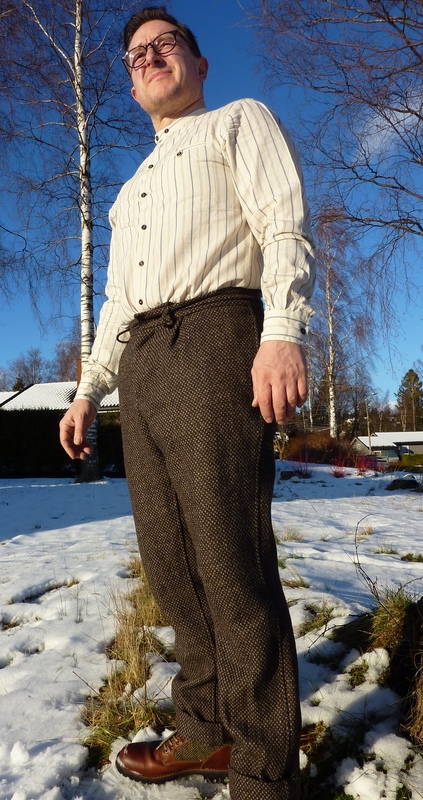 In summary, a well-designed pair of trousers, properly made, and of a fantastic fabric. You may want to read more about the Inner Hebridean tweed, right?